Spread the word. Tell your friends and colleagues about THREE Colours – Sharing is caring. I have used Three Colours to deliver Living In Magazines for five years.  I have always been very pleased with their service and when there has been the occasional query about deliveries, they have always followed this up immediately and reported back to me very quickly. I do spot checks and know that they are being delivered when they say they are. I expect them to deliver when they say they are going to, but what I really appreciate is the good customer service. We have been using Three Colours for nearly five years now. We are very pleased with the service they give and the extra mile they go. They have also built up relationships with the various shops and porters where they drop off copies of the magazine, resulting in us having magazines in places where other magazines are not taken. Three Colours have been the trusted distributor for Sotheby’s International Realty for many years. Mladen and his team are trustworthy, efficient, honest and provide an excellent and accountable service. I would recommend them thoroughly. I was using an other supplier and was not happy with them then in 2009 I switched to Three Colours Ltd and I have found out that it has been an excellent decision. I would recommend this company. These guys are always reliable and on time. They are the best distributors we’ve ever dealt with. I used Three Colours for the first time last week and I did not do any spot checks as I wanted to find out if people will call us. And so far we have booked a few new clients in Highgate which is great! Good company will be using them again soon! I have used 3 Colours for my deliveries for about 5 years now. Jonny has been more than helpful and always happy to deliver at short notice. I have no problems in recommending this company. Darling Magazine, Wimbledon has been distributed by Three Colours Ltd since we started over 3,5 years ago. They have always been reliable with friendly and prompt service and as the publisher I am very happy with them.